Private and public spaces reflect land-use and aesthetics based on tools used to rearrange natural features. The pastoral countryside. Village Commons. 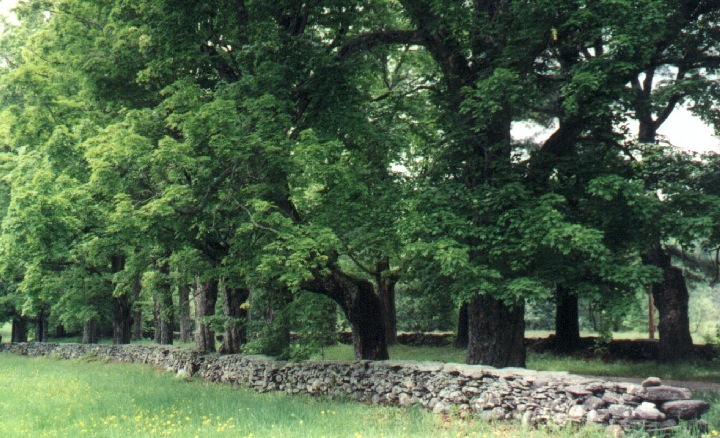 W. C. Bryant's yard, Berkshires, Mass. Terrain and technology shape one another. 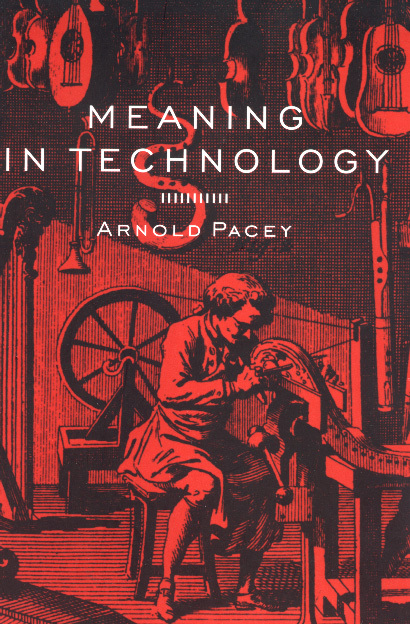 How, if as Pacey says "land is a source of meaning and even virtue," has our present meaning of land as landscape changed due to the transformation of technocracy into technopoly as a driving feature in the history of technology? University of Virginia quadrangle as Jefferson designed it in neoclassical detail. "Thomas Jefferson. . . . did not envisage such a drastic remaking of the landscape as we so often encounter today, when whole tracts of countryside can disappear under concrete of freeways and fly overs, dams or urban sprawl. In many people's experience, technology has largely displaced nature in the immediate environment of their lives." the Remaking of Nature pp. 123-146. 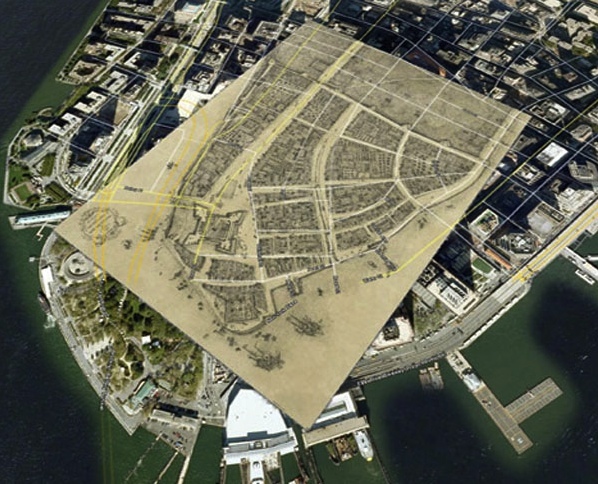 Lower Manhattan Island: 18th century map overlaid on Google Earth™ map. Technocracy nourished a monopoly. Greater technical skill is required with machines. Are tools the only source of value? Can we support tools over a long period? "accommodate ourselves to the requirements of new technologies." "If there are problems with our technical world, we need more technology, not less. . ."
Technopoly is . . . . "A state of culture and a state of mind"
"shallow optimism and synthetic scenery" are creating "a new ice age of technology and bureaucracy. what happens to society when the defenses of information glut have broken down? "the earth seemed to have been torn inside out. . . . its entrails are strewn about . . . . black and lifeless"
" 'technicalization' of terms and problems is a serious form of information control." "to raise the secular to the level of the numinous." They (Chinese) could see beyond practical engineering to deeper meanings"
"we become blind to the ideological meaning of our technologies." "But today, . . . we have largely abandoned religion. . . . So there is a need. . . for attitudes. . . sensitive. . . wise"
". . . everyone uses or is used by computers, and for purposes that seem to know no boundaries." "So they are happier relaxing indoors, with their electronic entertainments. To take that attitude, . . . is to say that land and nature no longer have meaning. Resolving the tension among machinery, nature and human suppleness of mind. "But the garden as a vision of gentle creativity and harmony with nature is not the only possibility." Manhattan as viewed from New Jersey 1840s. 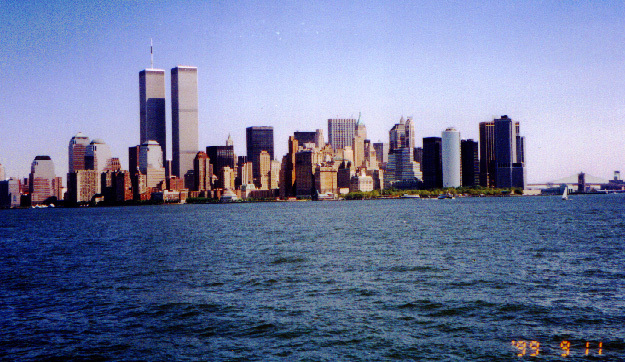 Lower Manhattan in 1999. Set amidst a well watered garden Machine dominated as water is turned to steam for power. More positive was the image of machines in a garden illustrated in a schoolbook of 1910, with models designed for teaching children about the principles used by different power sources: steam, wind and water. 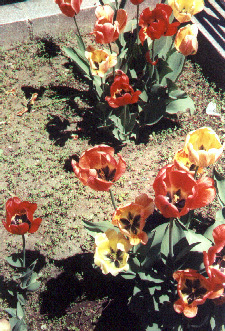 Taken individually, many of the small machines represented could be seen as examples of human mastery over nature, but presented in a garden setting surrounded by big trees, they took their place beside flowers and neatly mown lawn as portraying a balance between nature and artifice." Over time appearances shift due to altered uses of new technology. "If we define ideology as a set of assumptions of which we are barely conscious but which nonetheless directs our efforts to give shape and coherence to the world. Then our most powerful ideological instrument is the technology of language itself." "To put it simply, like any important piece of machinery –television or the computer, for example– language has an ideological agenda that is apt to be hidden from view." "But in many respects a sentence functions very much like a machine . . . ."
'humans are . . . meaning creating beings' who need to invent myths and stories that convey values and meaning. Such myths are 'vital for individuals and cultures." Finding evidence Postman, pp. 144-180. Science, symbols & sin. "Into this void comes the Technopoly story, with its emphasis on progress without limits, rights without responsibilities, and technology without cost. 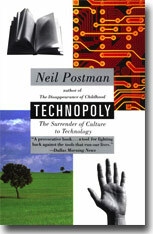 The Technopoly story is without a moral center. It puts in its place efficiency, interest and economic advance. It promises heaven on earth through the conveniences of technological progress. It casts aside all traditional narratives and symbols that suggest stability and orderliness, and tells instead, of a life of skills, technical expertise, and the ecstasy of consumption." We need in some deeply moving sense "to locate stories that would reaffirm our national culture. Such narratives must come to them . . . . find a vital narrative and accompanying symbols. . . . but the question of who we are and what we represent will remain." 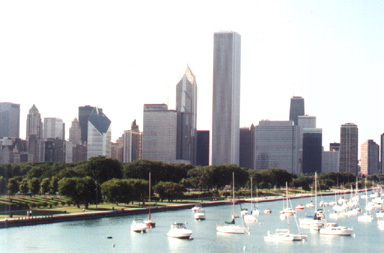 The urban use of space differs radically from pre-industrial to industrial cities; Chicago is a good example of the industrial metropolis built by railroads and steel. "The land was ours, before we were the lands." The Gift Outright, Robert Frost, American 20th century poet. "Will we control it, or will it control us?" 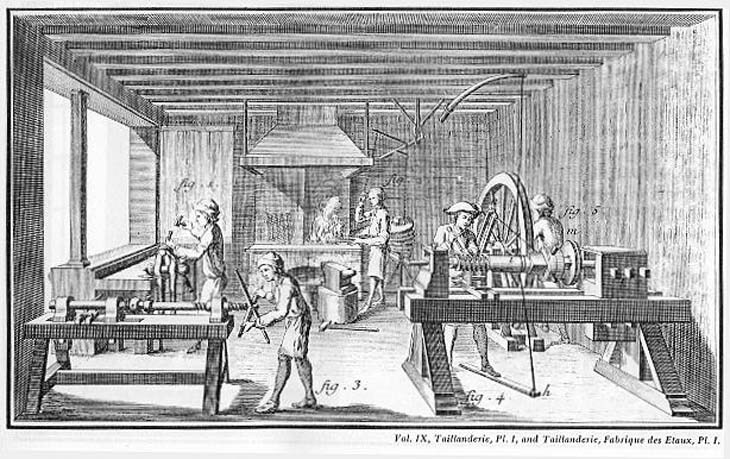 A plate depicting "factory" labor in the 18th century from Diderot's Encyclopedia. "The question with language, as with any other technique or [equipment – such as a hand tool versus] a machine, is and always has been, Who is to be the master? Will we control it, or will it control us? The argument in short is not with technique. The argument is with the triumph of technique . . . with techniques that become sanctified and rule out the possibilities of other ones . . . . And so it is necessary to understand where our techniques come from and what they are good for; we must make them visible so that they may be restored to our sovereignty,"
You have to learn to describe connections among the authors so vividly that others may also envisage your inner esthetic sense; including the sensitivity to proportions, and expressions of balance. Tools used in both Music and Architecture can be traced subsequently to mechanization and automation.